I was looking for a stress tool to test a java product via its HTTP API. I gave it a try and my first impressions were very good. The wiki has a very good “getting started” and “first steps” sections with useful examples. I propose here to show an alternate set of “first steps” by stress-testing Jenkins. I discovered there is a one click install of Jenkins for MacOsX. Jenkins is automatically launched and ready to be used. I chose to download the 1.5.1 instead of the 2.0 as this last one is still under development and because 1.5.1 seems to have the feature I need. For our test of jenkins, we will use the recorder to write the simulation script. 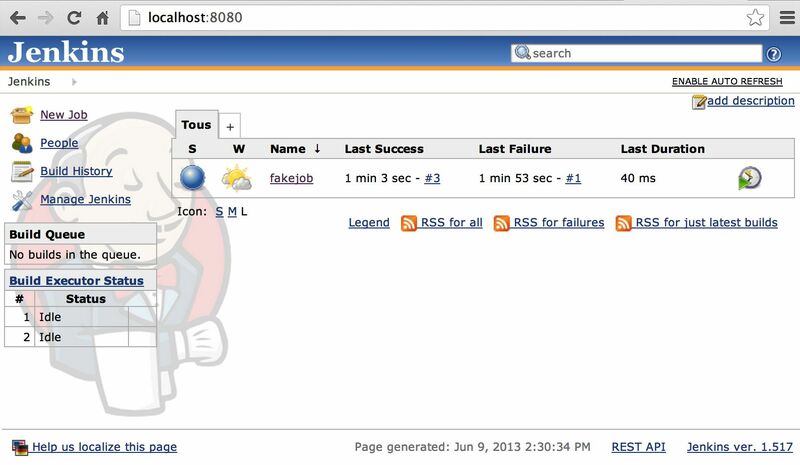 The recorder will allow us to create a script that mimick what users could do on Jenkins. For this simple example, we will just click on the job, click on a build and click on “console output” for this build. If we launch the script as it, we will simulate the connection of a single user. 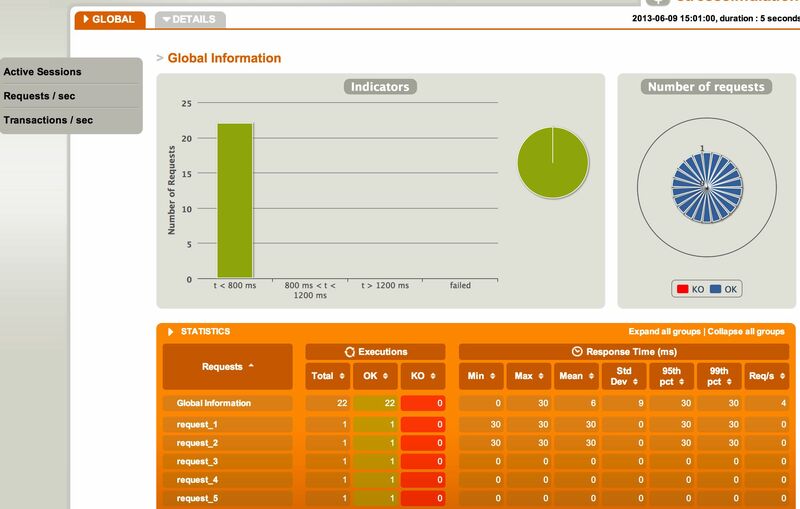 The reports gives a global view of the result of the test with the stats for the 22 requests performed. The result shows that half of the request1 performed failed (260 out of 240). 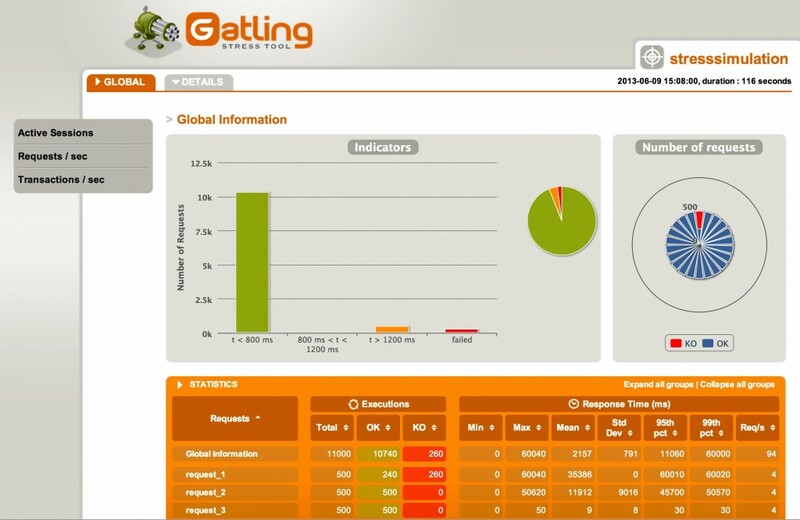 Failures are caused because Gatling will consider a request times out after 60 seconds. In that case, only 20 requests failed and other parts of the reports are interesting to look at. Yet, it is a good start and quite easy to perform. Next steps would use more advanced features of Gatling. Would you have any questions or experience to share, don’t hesitate to contact me. If I have more to share on the topic, expect a follow-up.